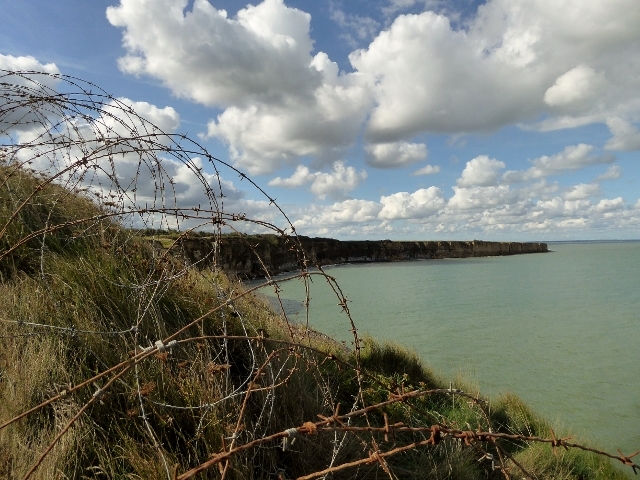 On your first day we meet you at Ouistreham/Caen and our first visit is Le Grand Bunker Museum. We then head to Pegasus Bridge for a guided tour of the Memorial museum with an English speaking guide. You will see the original Pegasus Bridge (it was replaced by the current bridge in 1994), a replica Horsa Glider as flown by Major Howard and other military equipment. You can also see the first house to be liberated during the last hour of 5th June 1944, now the Café Gondrée. From here we ride to Gold Beach at Arromanches, where impressive remains of the Mulberry B floating harbour can be seen. Lunch is taken in one of the numerous cafés at Arromanches. A short ride from Arromanches brings us – via the Gun Batteries at Longues sur Mer – to the American Cemetery at Colleville sur Mer, which stands overlooking Omaha Beach. This immaculate site contains the graves of 9387 soldiers with a further 1557 names listed on the Walls of the Missing. 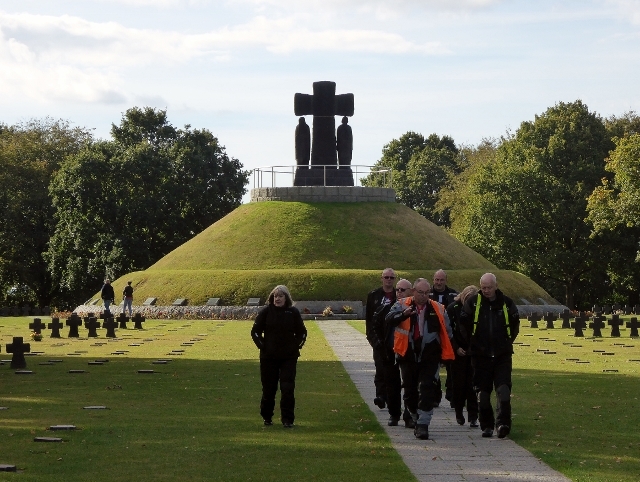 On day two we visit the German Cemetery at La Cambe before moving on to La Pointe du Hoc where the 2nd and 5th Rangers Battalions scaled the cliffs. Witness the moving testimony of the survivors in the visitors’ centre before walking to the cliff face. We continue to St Mere Eglise for lunch and then a visit to the Airborne Museum. Time permitting you can visit the British & Commonwealth Cemetery at Bayeux. 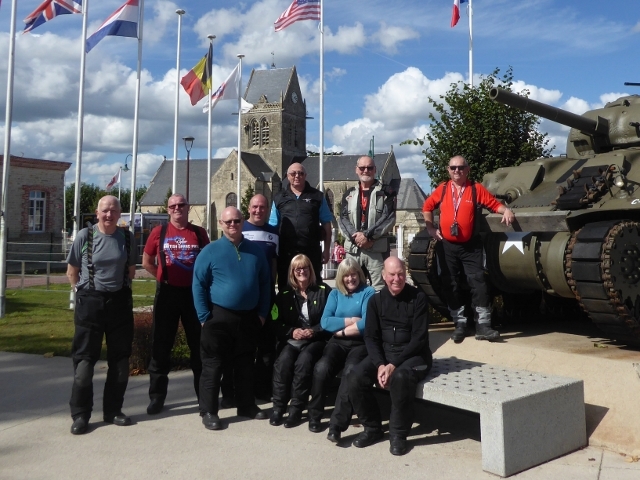 On your third day we ride into the “Corridor of Death” otherwise known as the “Falaise Gap” for a visit to the Memorial at Montormel – a museum dedicated to the final days fighting in the Battle of Normandy. We then guide you back to the departure port of Le Havre. During the tour we shall stay in a 3* hotel with the secure parking in the centre of Bayeux for two nights and with this only being a short version of our 7 day WW2 Extended Sights Tour there will not be a luggage van. Three day fully guided tour with an experienced British guide who speaks French! Tour Information Pack (to include itinerary, hotel details, explanation of marker system, etc. Your ferry/tunnel crossing and meals/drinks other than as stated above are not included.